Also playing are Samael, Terrorizer, Revenge, Witchery, and Exodus. Colombian Hessians might want to check this out to see Sodom live. 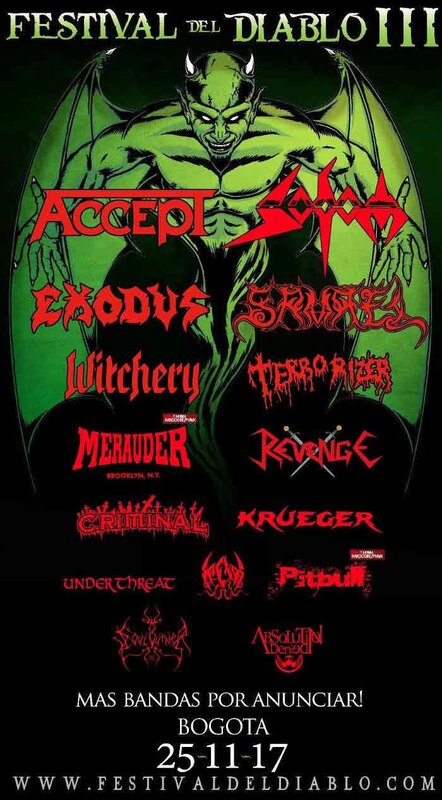 Sodom need to find a way to play America without last minute cancellations. Exodus and Terrorizer are worth seeing, but Samael was atrocious at mdf 2016. This is actually a strong headliner lineup, I wouldn’t mind seeing this in a country where I wouldn’t be targeted for being white, like Russia or Japan.